The death toll of cyclone Winston that hit Fiji at the weekend has risen to 29, with officials warning the clear-up could take months. About 8,500 people are still sheltering in evacuation centers. Cyclone Winston, a category 5 storm, has flattened many buildings in parts of the main Viti Levu island and Koro islands, Fijian officials said. It brought winds of over 200mph, torrential rain and waves of up to 40ft. 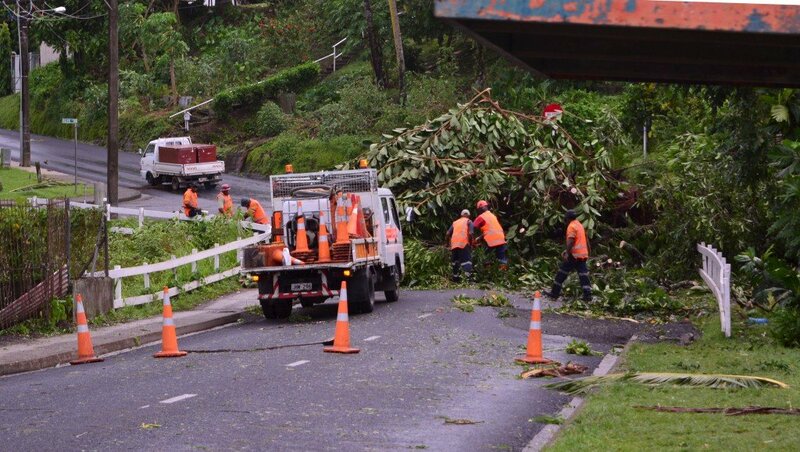 The storm has been described by the Fiji Broadcasting Corporation as the worst to ever hit the country. Eight bodies were found there on February 22. The New Zealand Air Force has helped Fijian rescuers carry out aerial inspections across almost all the islands, Ewan Perrin said. Officials had also put in place a nationwide curfew, giving police extra powers of arrest, but it was lifted on February 22. Australia and New Zealand have authorized the release of emergency aid supplies held in Suva.